Here's a question: What's the weirdest movie title you have ever encountered? We are pretty sure that any of your answers won't come close to Josh Radnor's (better known for his role as Ted in the hit series "How I Met Your Mother") directorial debut with the comedy-drama "Happythankyoumoreplease". And no, movie titles are definitely not an indication if it is good or bad. 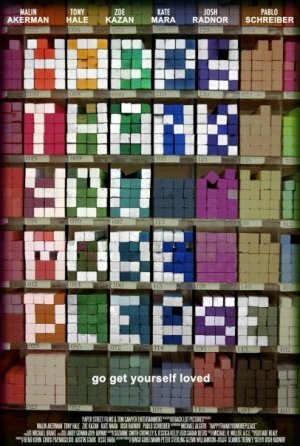 In fact, "Happythankyoumoreplease" has already garnered a lot of attention in the last year's Sundance Film Festival. Lucky for us, Anchor Bay Films are planning to release this to the masses starting March 4, 2011. Catch the latest trailer of "Happythankyoumoreplease" after the jump.